Don’t put it off any longer. If you want to save money and secure your spot at POMA’s 14th Annual Business Conference – happening June 18-20, 2019 in Wichita, Kansas – at the best possible rate, you need to act fast. Registration rates increase after Thursday, February 28, so on March 1 you’ll pay more to register. Registering is quick and easy! Find all conference-related information on the conference website. Educational Sessions – Tax Updates, Legalities of Outdoor Media, Approaching Editors, Influencer Marketing and more. The schedule is updated as planning progresses, so check often for the most up-to-date information. The popular format of a three day event that’s packed full of learning, fun, networking and business-building will continue. POMA remains committed to our tradition of excellence in planning our conference – from the issues facing today’s outdoor industry to after hours gatherings, conference is designed to help you garner the information, and make the contacts, you need to help grow your business. POMA’s Auction will close the conference with a chance to grab auction and raffle items from our many generous donors and Corporate Partners. You never know what you might find! Register today and take advantage of the early registration cost savings! 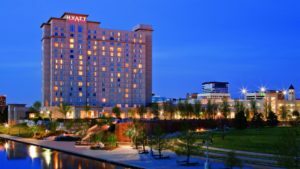 Make hotel reservations at the Hyatt Regency Wichita. 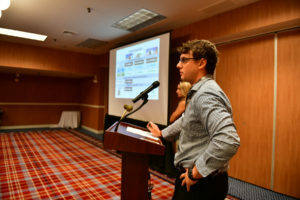 Find all conference-related information on the conference website.